This group welcomes all faculty and staff who participate in research across campus, whether pre-award or post-award, to attend its monthly meetings; April 23. The Office of Research and Creative Activity (ORCA) invites you to attend its first Research Management and Professional Development meeting. 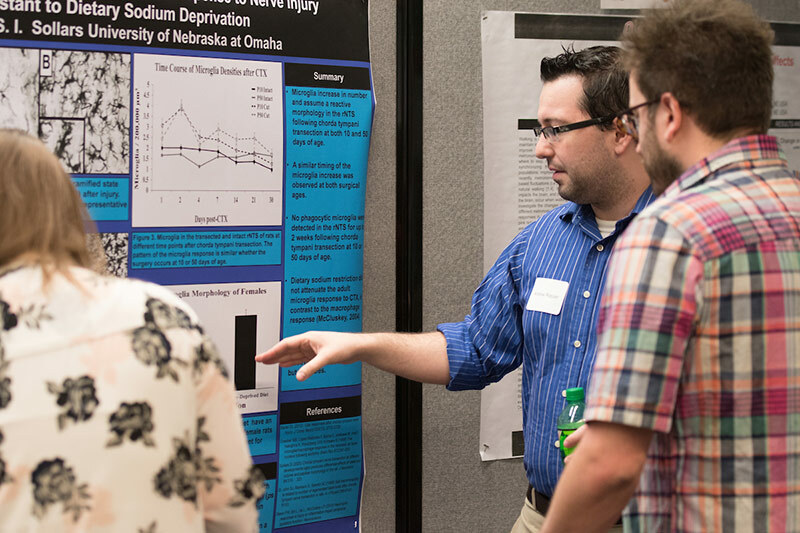 The Research Management and Professional Development group welcomes all faculty and staff who participate in research across campus, whether pre-award or post-award, to attend its monthly meetings. Participants are not required to attend every month, but are encouraged to attend topics that will apply to their role in the research process. The first meeting is scheduled for Feb. 12 at 9 A.M. to discuss UNO Service Centers. Jeff Kaipust, Assistant Director for Biomechanics, and Lisa Bounds, Manager of Grants Accounting, will present the policy and procedures associated with UNO’s service centers. UNO’s only service center at this time is housed in the Department of Biomechanics. Denise Kjeldgaard, Senior Grants Accountant, and Joyce Kosmacek, Grants Accountant, share their NCURA conference experience and key NSF tips including participant support costs. Be sure to check ORCA's announcement and events page for future meeting details.